Simple, sleek style meets a practical storage solution in the Gilbert 5-Shelf Unit. 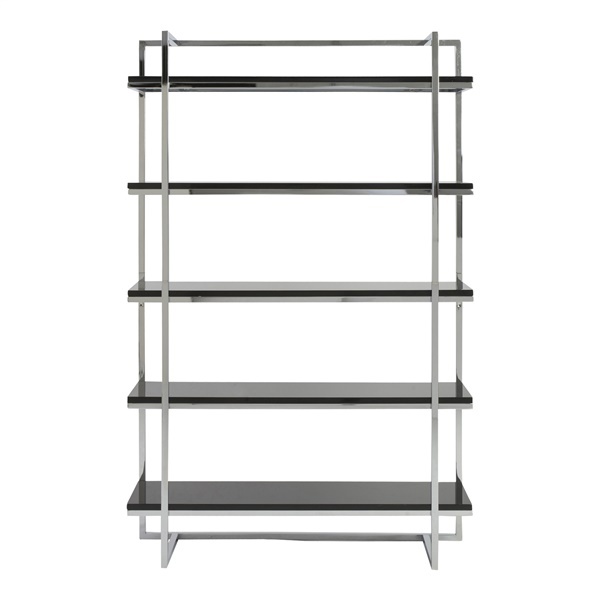 This modern shelving unit is perfect for the home office or anywhere organization is needed. It features high-gloss lacquered engineered wood shelves and a chromed steel frame.